Two freshwater white pearls pop out of a steel pod in this pearl pendant necklace. 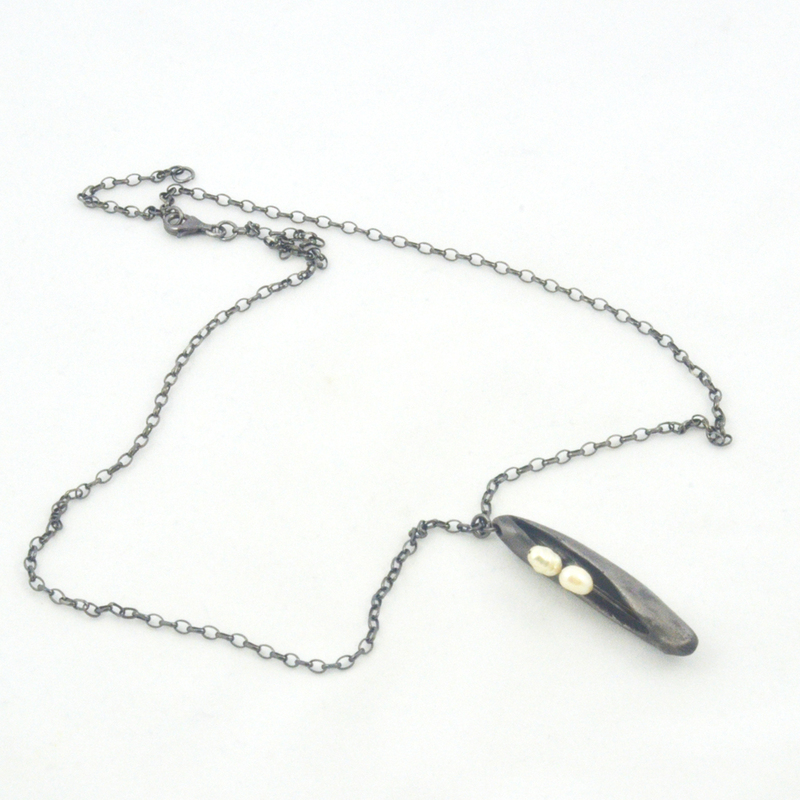 The unique steel pod hangs from a 22 inch gunmetal color chain. The 2 inch extender and lobster claw clasp allow for some length adjustment. 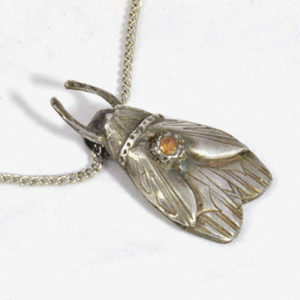 The story of two freshwater pearls in steel pod pendant necklace starts with a lump of steel clay and two white pearls. The artist sculpts the pod from the clay and attaches the wires for the pearls. Firing the pod in a hot kiln fuses the particles of steel. 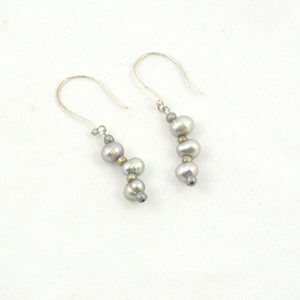 When cooled and polished, the pearls are added. The two freshwater pearls appear to pop out of the steel pod container. The steel wires hold the pearls in place. The 22 inch long chain (gunmetal finish) with its 2 inch extender provides room to adjust the pendant necklace length. The lobster claw clasp fits the chain links as well as the jump ring giving more adjustment possibilities. A clear finish applied to the steel pods protects against rust. 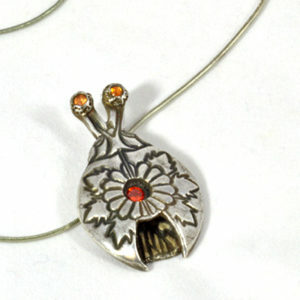 The artist made only one of these pendants. It could belong to you! Try wearing this pearl pendant with casual attire or let it dress up a little black number! Great with a white blouse or a colored tee. It’s an attention getter! 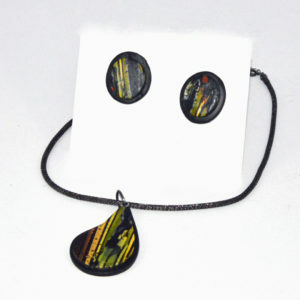 2 inch extender, 22 inch necklace, Focal length 2"